The monsoon is here, and the rain has started to pour heavily in most of the areas of South India. Soon, the Monsoon will visit the Northern and Eastern Parts of India, and the entire country will enjoy this season of rains. The rain is very soothing for everyone including the humans, animals and plants. But, the rainy season is quite infamous for bringing the diseases with it. With the increase of Mosquito population after rain and the ponds of the still water, the cases of mosquito-borne disease arise. India, being a developing nation with lots of construction going on, the potholes and the ponds in that potholes become the breeding areas for the mosquitos, bringing the diseases in an Indian household. The most common is the Japanese Encephalitis Disease, which is caused by the bite of infected mosquito. The Japanese Encephalitis is a most common disease in the rainy season in India. The Japanese Encephalitis Virus is Mosquito-Borne Disease, which not only affects the Humans but persists in the Horse and Pigs too. In this post, we will discuss the Japanese Encephalitis Virus Symptoms and prevention of this disease. Here are are some details of the Japanese Encephalitis Virus Symptoms that you should observe in the suspected patient. 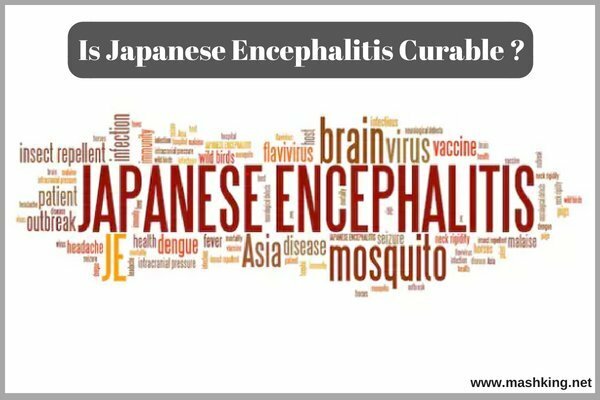 What are the Japanese Encephalitis Symptoms? The Japanese Encephalitis Virus Infection is not clinically fatal as the virus is pretty weak to make any person clinically ill. Only 1% of the people who get infected with this virus get clinically sick and need immediate treatment. But still, this virus is dangerous if you neglect the following Japanese Encephalitis symptoms and don’t take proper medical advice. No Symptoms At all in the Beginning. The Symptoms take 5-15 Days to appear. The patient will have Headache and Strong Fever. The Symptoms develop quickly after 5-15 days after the infected mosquito bite. The developed Symptoms are Severe Headaches, High Fever, Nausea, Disorientation, Stiff Neck and Vomiting. These are the common symptoms in Adults. Some of the patients of this Disease have reported the Swollen Testicles. Kids will experience Convulsions after contracting this disease. If the Patients start experiencing mental illness symptoms like Disorientation, Stupor, Tremor and Coma, then the Irreversible damage may happen to the brain. These are the most common symptoms of the Japanese Encephalitis Virus infection in humans. If you or any of your friends or family members start observing these symptoms, then immediately seeking medical advice is recommended. How to Prevent Japanese Encephalitis Virus Infection? “The Prevention is Better than the Cure” is not the wrong quote. It’s way better to take preventive steps and avoid the physical pain. Here are some of the methods you can follow to prevent the Japanese Encephalitis and stay fit and healthy in this Rainy season. If you are a traveller, then taking a Preventive Vaccine from your family doctor will help you to avoid getting infected with this virus. The travellers are prone to any Mosquito-Borne diseases, so this is the preventive major for the Travellers. Wearing Full Sleeve clothes is one of the best ways to avoid this disease. If you live in the area where the mosquitos are in the large numbers, then wearing full sleeve clothes will help you to prevent mosquito bites and infections. If you want to take care of all of your family members at once, then using the excellent mosquito repellent like Goodknight is the best option for you. The Goodknight prevents the Mosquitos entering your house, and you can stay safe and healthy. If you are leaving in the area where there is almost no electricity, then you should apply the Mosquito Repellent Creams on your body to avoid any mosquito bites. This is not effective as other preventive methods shared above, but it’s your last resort if you cannot follow these methods. So, we’ve discussed the Japanese Encephalitis and got to know if it is curable or not. Yes! The Japanese Encephalitis is not a deadly disease if take proper medication in time. But, if the patients ignore the symptoms for a long time, then there can be irreversible damage which is nearly dangerous as facing the death. I hope you learned about the Japanese Encephalitis Symptoms and Preventive Majors. I hope you’ll follow all the things mentioned in this post and stay safe from this virus infections. 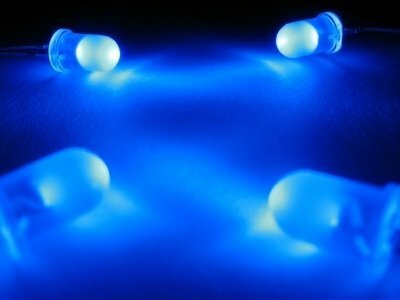 PreviousBest Headphones Wireless or Wired ?